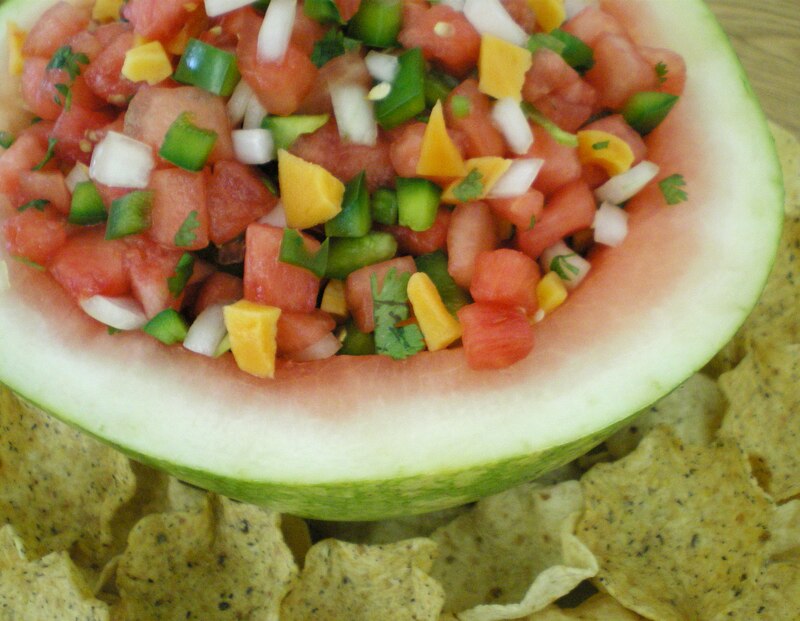 Watermelon Salsa with Dried Mango « Great Lakes International Trading, Inc.
Place diced mango in a small bowl, cover with hot water and set aside to soak for 15 minutes. In a large bowl combine all of the other ingredients. Drain the mango and add to other ingredients. Mix well and serve.